Mythology holds that the goddess Pele, in a fit of jealous rage, transformed the man she loved into a gnarly evergreen called the ohia. That’s the tragic tale behind the beautiful tree that, in its many forms, makes up most of Hawaii’s forest canopy. (It also grows as a shrub or an epiphyte—a tree that grows on other trees.) It would be hard to imagine the archipelago without the ohia, but some worry that day could come. Few were concerned when ohia trees started dying from blight in 2010. In recent years, however, “rapid ohia death,” as the disease is called, has spread across more than 135,000 acres on the Big Island and jumped to the nearby island of Kauai. Scientists and public officials are now in a desperate effort to stop the disease and save the canopy, along with the multitude of flora and fauna that depend on it. A treatment is not forthcoming. Officials are focused instead on containment. The fungi kill the trees from the inside by clogging their water pathways, turning the leaves brown and releasing new spores. By the time the trees appear to be sick, it’s too late. In August, in what might be considered an act of desperation, the Hawaii Volcanic National Park teamed up with private groups and federal research labs to offer a $70,000 prize to whoever can come up with tools for early detection. Greg Asner could be a front-runner for the prize. An ecologist with the Carnegie Institution for Science, he built a device that can detect infected trees before symptoms appear. From an airplane, he uses a laser beam to outline the trees that pass below and a spectrograph to measure the precise color of light reflected off the leaves. Turns out the presence of fungi slightly alters the color of the leaves in a way Asner’s device can see. In recent months, his team and forest managers have been isolating individual trees from Asner’s data, determining which have the chemical signature indicating the spores’ imminent release. These are then commissioned for logging, before they taint neighboring trees. The method is expensive—Asner gets funding for only one flyover per year—and more frequent updates would be helpful. 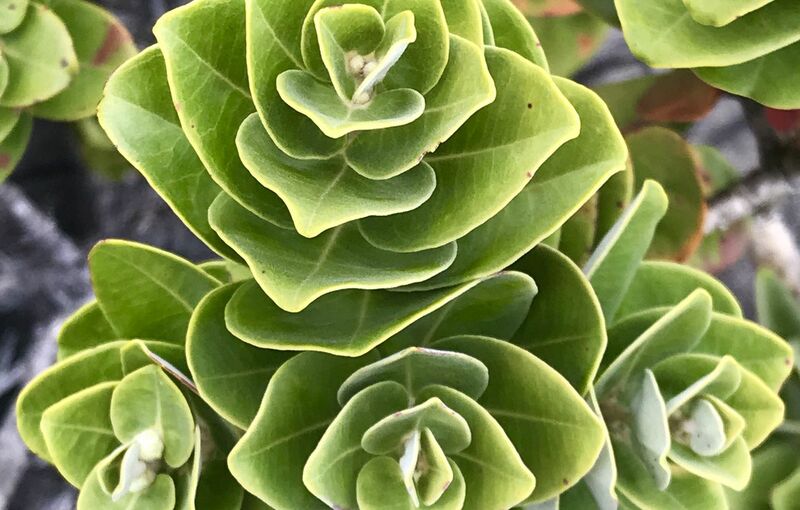 Should containment fail, scientists are considering propagating varieties of ohia that are inherently resistant to the infections. Also, a consortium of government and nonprofit groups is building a seed bank, in case they’re needed for restoration.